Chris Odell, MPP, is an Engagement Manager at the Institute for Health Metrics and Evaluation (IHME). In this role, he focuses on building and maintaining IHME's collobator network. 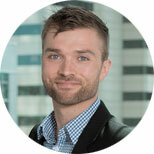 Chris joined IHME in 2012 as a Project Officer on the Strategy Team and worked on the Gavi Full Country Evaluations before moving to the role of Program Manager, where he focused on staff training and development, as well as developing and implementing external trainings. Chris spent much of his life in California, working first in social services for highly at-risk youth in Los Angeles, and then with governments in Latin America to develop social protection programs for homeless youth. He also lived in Kenya while working on a children’s health program with the Ministry of Health and Ministry of Education. After leaving a career in music, Chris earned his undergraduate degree in Sociology from Azusa Pacific University and his Master of Public Policy with a concentration in International Policy from UCLA. India State-Level Disease Burden Initiative CVD Collaborators. The changing patterns of cardiovascular diseases and their risk factors in the states of India: the Global Burden of Disease Study 1990–2016. The Lancet Global Health. 12 September 2018. doi:10.1016/S2214-109X(18)30407-8. India State-Level Disease Burden Initiative Diabetes Collaborators. The increasing burden of diabetes and variations among the states of India: the Global Burden of Disease Study 1990–2016. The Lancet Global Health. 12 September 2018. doi:10.1016/S2214-109X(18)30387-5. India State-Level Disease Burden Initiative Cancer Collaborators. The burden of cancers and their variations across the states of India: the Global Burden of Disease Study 1990–2016. The Lancet Oncology. 12 September 2018. doi:10.1016/S1470-2045(18)30447-9.